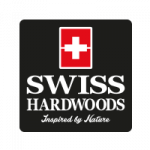 Swiss Hardwoods Olive engineered floor is a very classy and affordable choice for a semi solid wood floor. The top layer itself is the real hardwood European Oak veneer, this is only 4mm thick, but is more than adequate to provide a very long lasting and durable top layer to the floor. So much so this can even be sanded and refinished up to 3 times during the natural life of the flooring. Installation is also easier and quicker with the interlocking mechanism. Due to its multi-layer construction, this floor is more stable and rigid when it comes to the problem of expansion and contraction due to humidity and climatic change. Hence, is the most sought-after type of solid wood flooring since engineered wood flooring makes more sense especially if your living in a region with extreme weather conditions, as it is more forgiving of climate issues.